I have just heard the sad news that Colin Hendry’s wife, Denise, has died after a battle with a serious infection. Denise has suffered terribly since her botched cosmetic surgery operation in a private hospital in 2002. Denise had been seriously ill in Salford Royal Hospital for 11 weeks, and died on Friday surrounded by her family. Although I have never met Denise, I first met former Scottish football captain Colin, shortly after his wife’s first operation and was saddened to hear how it had affected their family life. Colin had no choice but to give up his playing and then subsequent managerial career, to look after Denise and their young family. Although Denise won a substantial damages claim in late 2006, no amount of money was able to make up for the long term damage that had been done, and unfortunately she never really recovered from the after-affects. 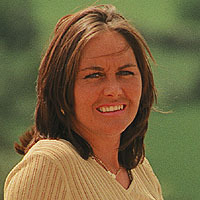 I’m aware that Denise subsequently campaigned about the dangers of cosmetic surgery, urging people to check their surgeon’s credentials before going under the knife. My thoughts are with Colin and his family at this difficult time.